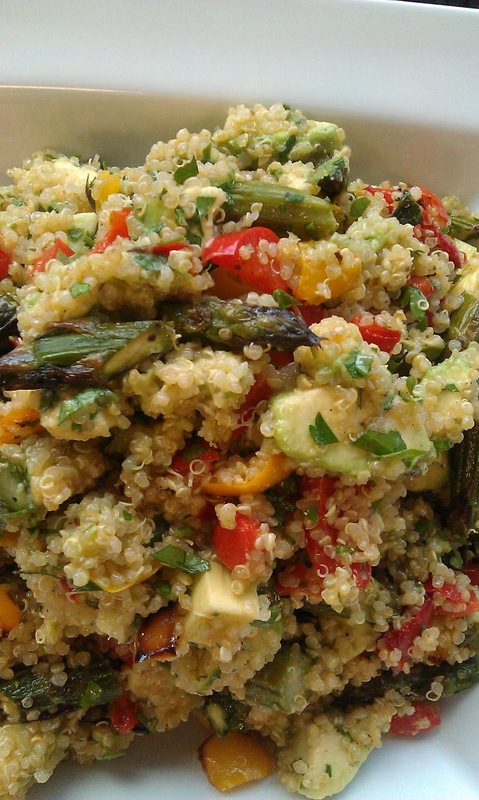 A quick idea for your summer lunches, this salad is very easy, deliciously healthy and yummy! There is no exact recipe for this one as I always improvise around it and want to invite you to do the same. Use any of your favorite summer vegetables, some quinoa, loads of fresh herbs and a simple dressing made with lemon juice, olive oil, salt and pepper. Bon appetit and Happy healthy summer! !